I was a bit of a drinker in college. 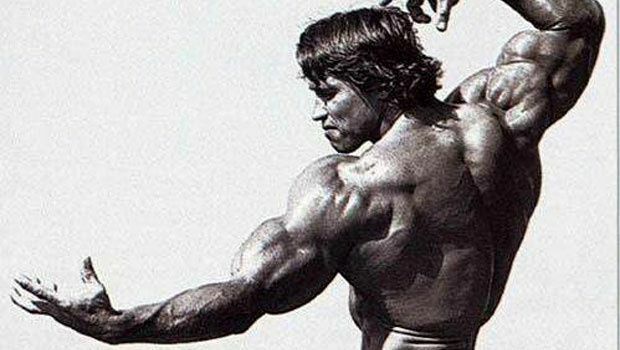 The same way Arnold Schwarzenegger had a “bit” of muscle when he won Mr. Olympia. The same way Usain Bolt has a “bit” of speed during an Olympic run. Knocking out a 30-pack of Keystone Light in a night was not uncommon. There’s a weird competitiveness in me. If I’m going to do something, I want to be the best at it. It’s a quality that served me well as an athlete and as a businessman. When I was cleaning up my room the other day, I re-discovered a shirt that my friends had bought and custom made for me. The shirt read, in big lettering across the chest, “Do Not Resuscitate”. It was a running joke that I would someday take things too far and that I should at least have the common decency to alert any paramedics that found me, that I was beyond saving. Granted, it’s a bit morbid describing it now. But the intent was innocent during that time. The shirt was meant to be funny, but it was also a bit of a wakeup call. Because there’s some truth behind every joke. While my friends meant well, I got nervous about wearing the shirt. What if I did take things too far? Would the message on my T-Shirt serve as legal permission to leave me for dead? I didn’t have a death wish and I didn’t know any lawyers at the time, so I figured it would be best to keep this shirt in the bottom of my drawer for safe keeping, not to be worn in public. “Perish” may refer to the end of your physical, earthly life. Or it may also refer to the spirit life inside you. You probably know some people in your life that, while existing above dirt, are without vision, purpose, or a sense of direction in the world. You might even call them ‘the walking dead’. The good news is that as long as you’re above dirt, you’ve got a chance to “resuscitate” the spirit that lies dormant inside of you. As long as there remains a tiny ember, there’s the potential for a raging inferno. But first you have to fan the flame. Some people make the transition overnight. A near death experience… the death of a loved one… a divorce or a foreclosure… marks rock bottom and serves as the catalyst for change. But in most cases, it’s a lengthier process. Regardless of the timeline, the journey begins with a deep desire for change that exceeds your desire for things to stay the same. For the longest time, I wasn’t ready for those college days to end. I wasn’t ready to sacrifice the comfort of being a “kid” for the responsibilities of being an adult. Classic Peter Pan syndrome, right? My mistake was in believing that the pain was avoidable. But I can tell you from experience, there’s just as much pain in being a “20-something child” as there is in being a “20-something contributing member of society”. In fact... in retrospect, the pain of regular hangovers, black outs, and low self esteem, FAR outweighs the pain of earning a living and building the life you envision. I have to remind myself often… that putting off my goals and responsibilities today may feel like I’m foregoing pain. But it’s actually building a pain “bubble” that’s unsustainable, and will eventually crash like the 2008 housing market. In the fitness world, it can seem like the pain of waking up for a workout and the pain of foregoing French fries is not worth the ticket price. But the decisions we make today, echo into tomorrow. We like to blame age and genetics, while forgetting that we’ve made millions of decisions in the preceding years that have led to our current status. But you needn’t dwell on those past chapters. You need only to use them as the catalyst for change from this point forward. Years later you may be cleaning out your room and discover an artifact… a relic from that past ancient civilization known as YOU. You may marvel at that former avatar who occupied your same physical body, but is a perfect stranger to your present self… who has NOTHING in common with your upgraded mind and spirit. It’s rotary phone vs iPhone. Its’s horse and buggy vs Lamborghini. You may find yourself grateful that you chose NOT to resuscitate that lost soul. That you chose instead to allow the past to die… to make way for your limitless future. That you chose to be reborn… to rise like a phoenix… to gladly accept some moderate pain today in the unshakeable knowledge that it will build up dividends for tomorrow. You may be proud at how far you’ve come. But you mustn’t stop there… because as long as you’re above ground, another chapter awaits. No Comments to "Skedge 8/20/18 (Do Not Resuscitate…)"